How do I sell my own art online using the creativehub Shopify app? To sell your own art using our app you need to complete two steps in creativehub before your work will appear in your Shopify account. 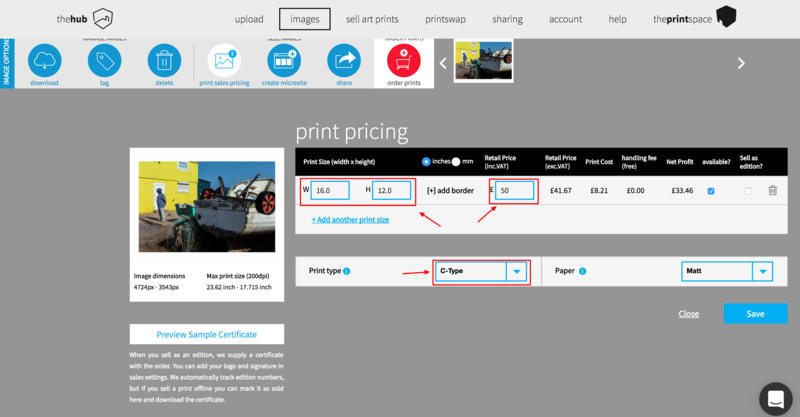 Firstly, login to creativehub and upload your images, set the size, price, as well as the paper stock you want your work to be printed on. 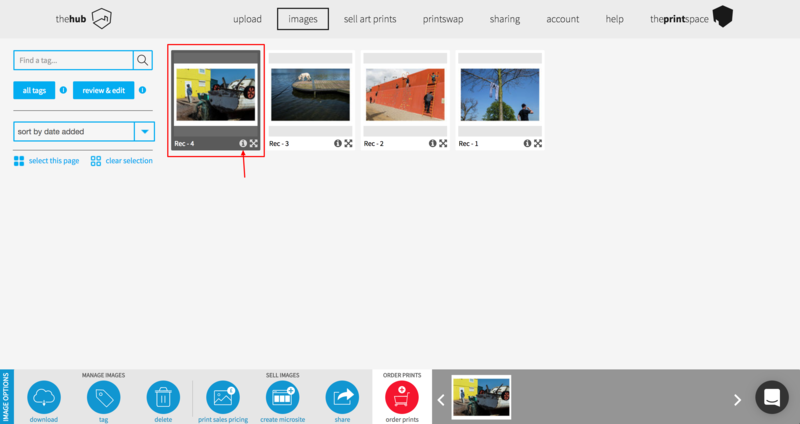 Secondly, you will need to add the ‘image title’ and ‘image description’ to your images. 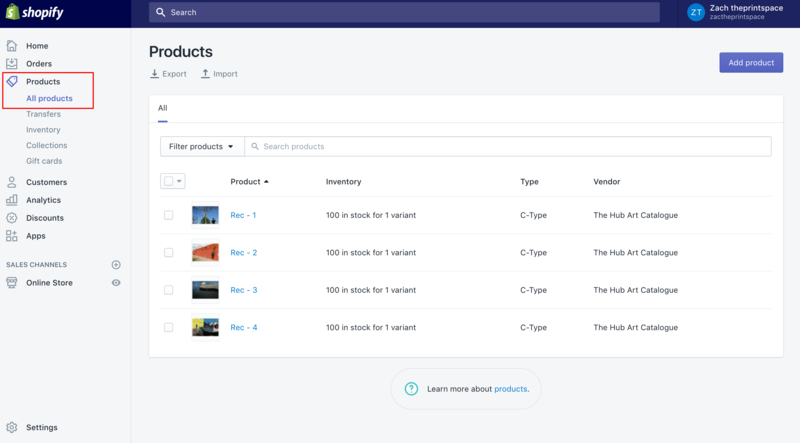 This is important as this information is what Shopify will import into your Shopify product list. To do this, select the image you wish to update and click the information symbol. 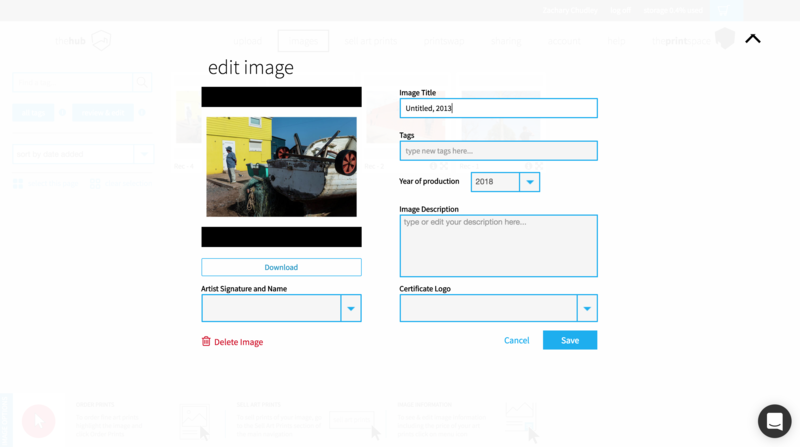 Once the ‘edit image’ window has opened, complete your required fields, then click ‘save’. Complete this process for all the artwork you wish to sell in your Shopify store. Once complete and If you have installed our app, your priced-up print products automatically appear in your Shopify products list. These products can then be added to your Shopify store for sale!